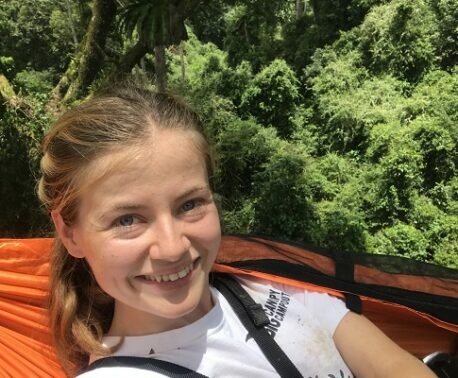 Miranda Stevenson, Trustee of World Land Trust (WLT) is happy to support Great Garden Give because it makes the link between what we can all do for wildlife in our gardens with the Trust’s overseas conservation work. 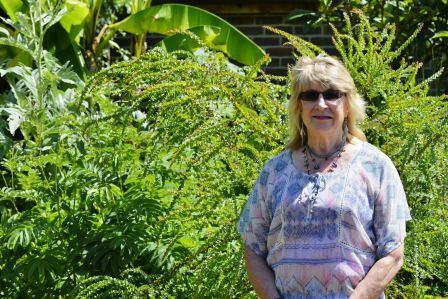 “Great Garden Give is a wonderful idea because it links back garden nature reserves with the conservation work that World Land Trust carries out overseas,” said Miranda, who has measured her own garden and donated £15 for her 570 square metres. A former chief executive of the British & Irish Association of Zoos & Aquariums, Miranda has created a miniature wildlife reserve in her garden in rural Hampshire. She has cameras inside two of her next boxes which have given her an insight into the private lives of sparrows. Some years ago a pair of House Sparrows (Passer domesticus) evicted the resident pair, killed the chicks and proceeded to rear two broods of their own. “Wildlife adventures in the garden are better than a TV soap opera, any day,” she jokes. A garden pond enhances the wildlife value of our private reserves and Miranda’s pond is no exception. “We’ve had frogs and Palmate Newts (Lissotriton helveticus) in the pond for years, but this year toads spawned there for the first time – great excitement! Now that it’s sunny, dragonflies are emerging and establishing their territories,” she told us. WLT’s website often reports on discoveries of rare species in overseas reserves supported by WLT, but Great Garden Give encourages us to celebrate the exciting invertebrates and plants in our own gardens. Her garden is full of herbs which attract many insects and she has a ‘tropical patch’ with exotics that need careful tending through the winters. For Miranda the work that it takes to maintain her garden is more than rewarded by the plant and animal life it supports. Likewise, the conservation success of World Land Trust is underpinned by hard work both in this country and overseas where WLT’s conservation partners manage reserves created with support from WLT. How does your garden measure up?